Once a Raven, always a Raven. 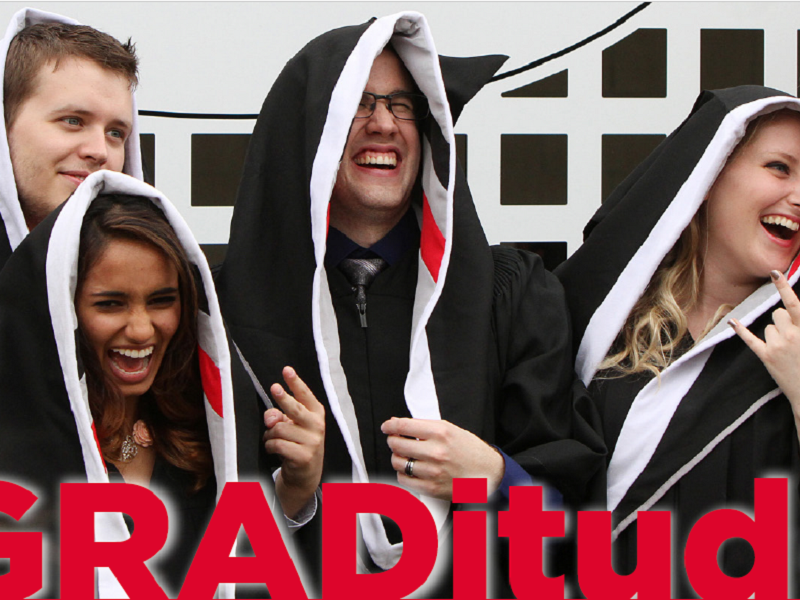 As one of Carleton’s most recent graduates, show your GRADitude and make a donation to the Endowed Student Emergency Fund, ensuring every member of our flock has what they need to soar. Through our GRADitude campaign, our annual fundraising drive for graduating students, we raise awareness for the Student Emergency Fund – a source of funding that will directly assist students in times of crisis who are unable to meet immediate and essential expenses. We hope you will join us today in helping to create a legacy of supporting fellow Ravens by making a donation of $20.18 in honour of your graduating year. And, on Giving Tuesday (November 27th) your gift will be doubled so that it has twice as much impact! The Endowed Student Emergency Fund was founded to give students monetary assistance in times of crisis – a family emergency, a personal challenge, an unforeseen obstacle that introduces stress and financial burden to a student’s life at Carleton. Your gift to this fund is a meaningful and tangible way to support these students. The purpose of this fund is to provide short term financial assistance to students who are unable to meet immediate and essential expenses as a result of a temporary hardship related to a personal emergency situation. As an endowment, this permanent university fund will be available to students in perpetuity. We rely on donations from alumni and public support to continue to grow the fund and ensure that there are sufficient resources for students in the future. University is an exciting time. Students experience living on their own, they get involved in clubs that they find meaningful, and find their passion through studying subjects they love – but what happens when a crisis occurs? No one should feel alone in such a time of need and, thanks to the Endowed Student Emergency Fund, no Carleton student has to be. The Endowed Student Emergency Fund was created to give students monetary assistance in times of crisis. Carleton’s Student Affairs office allocates the money based on need. As an endowment, this is a permanent university fund that will always be made available to students. 100% of your donation goes to support this fund – and you will receive an official tax receipt too. Thank you to all our donors, this project has expired.